Joe McDonough recently won the ITA’s Carl Fontana/Edwards Competition, and as a result, he is now the owner of a T302 jazz trombone. 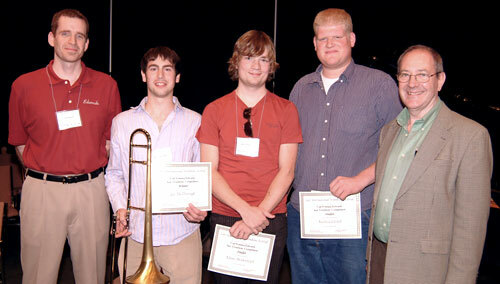 I was very fortunate to be named the winner of the 2007 ITA Carl Fontana/Edwards jazz trombone competition. 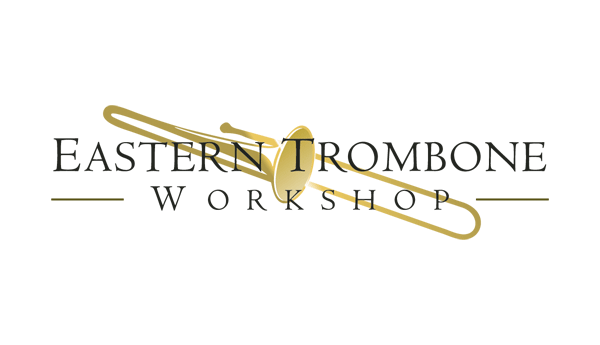 Given the great task of designing a top of the line Edwards custom jazz trombone for myself, I did not know where to start. The kind Edwards staff present at the convention in Las Vegas, recommended that I go directly to the factory in Elkhorn, Wisconsin to get to work. When I first stepped inside, a month and a half later, I was overwhelmed by what I saw. I was surrounded by beautiful bells, slides, neck pipes and tuning slides. How could I find the perfect horn? I took about a half hour on my own to just browse over the fine selection of hand crafted parts. Just being inside the room of trombones gave me the idea that the Edwards staff takes their work quite seriously. Meeting Mr. Christan Griego, however, confirmed that idea. From just the first minute of talking to Christan, it became clear that building instruments is his passion. Being that he, too, is a trombonist, I could tell that he paid attention to every small nuance that comes with playing the beautiful, yet challenging instrument. He started off by having me play on my then current setup. He asked me what I liked about this setup and he offered his opinion on the sound of the horn. Then we got to work on building a trombone that would maintain the positive aspects of my horn and dispose of the negative. From the first step, Christan told me that he could only offer advice on how each setup that I tried sounded, and that it was up to me to decide how each one felt. We worked for about four hours before we came up with something that both sounded great and felt comfortable. Before I went home, Christan also showed me the inside of the manufacturing center, where all the parts are built and assembled. It was quite a sight to behold. 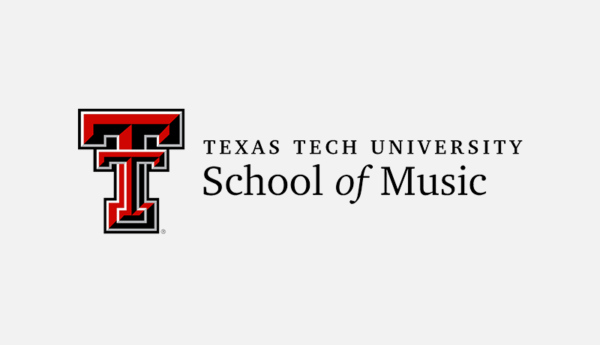 I will be forever grateful to Christan Griego, and the entire Edwards staff for the two gifts they gave me that day: a quality instrument, and the advice needed to design it. In addition to this, I was amazed by the amount of respect and kindness that Christan and the wonderful crew in Elkhorn showed me during my incredible experience. I tell everyone I talk to, who is interested in buying a new horn, that the only way to do it is through the Edwards custom-design process. 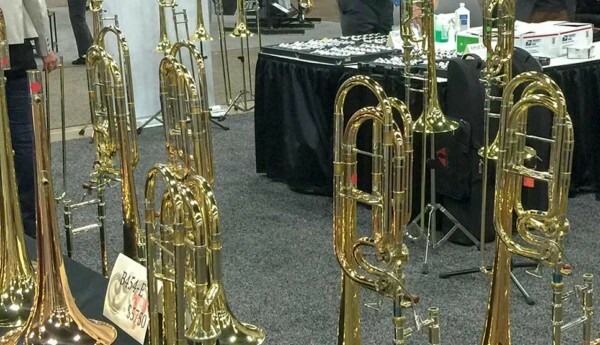 Iâ€™m glad I took the time to design the perfect horn that will last, and had the opportunity to go out to Elkhorn, Wisconsin and meet Christan Griego. Thank you Edwards Instruments! !